Wormholt Park, located in the densely urban context of west London, was opened in 1911 by the Mayor of Hammersmith and dedicated “for ever to the use of the inhabitants of the Borough.” However, over the years the maintenance provision was stretched and facilities had fallen into disrepair, creating security issues which devalued the landscape quality of the park. Thanks to funding received through a new mixed-use development on the eastern boundary, LB Hammersmith & Fulham were able to reinvigorate the park – restoring it to its former glory with the added aspiration of making it an exemplar for accessibility. 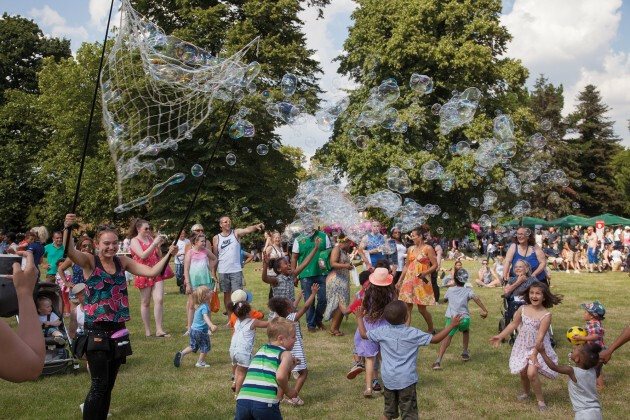 It was to be a park for the future, providing high quality amenity for the whole community. Following a competitive tender process in 2011, Levitt Bernstein was appointed and set to work on its transformation. 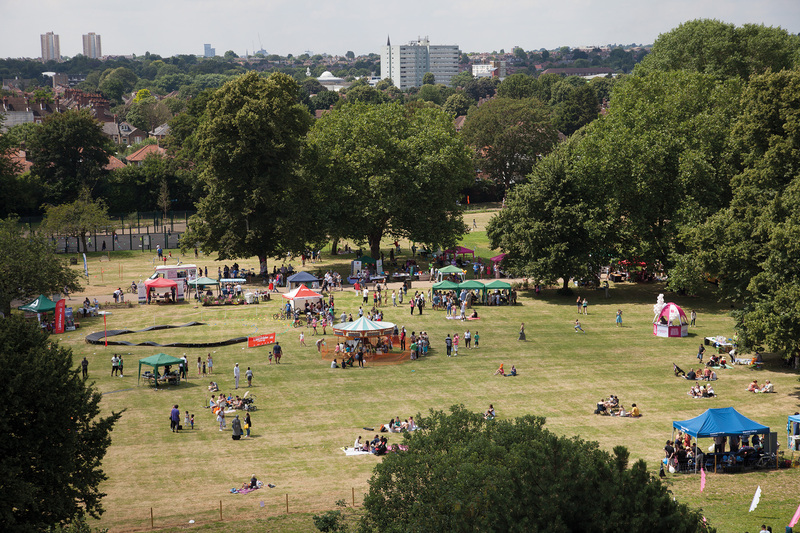 With the park being such a focal point for local people, it was important to work closely with nearby residents, the Friends of Wormholt Park community group, local market traders and primary schools as well as a number of local authority officers throughout the project. Their input was invaluable in what became an extremely collaborative design process. 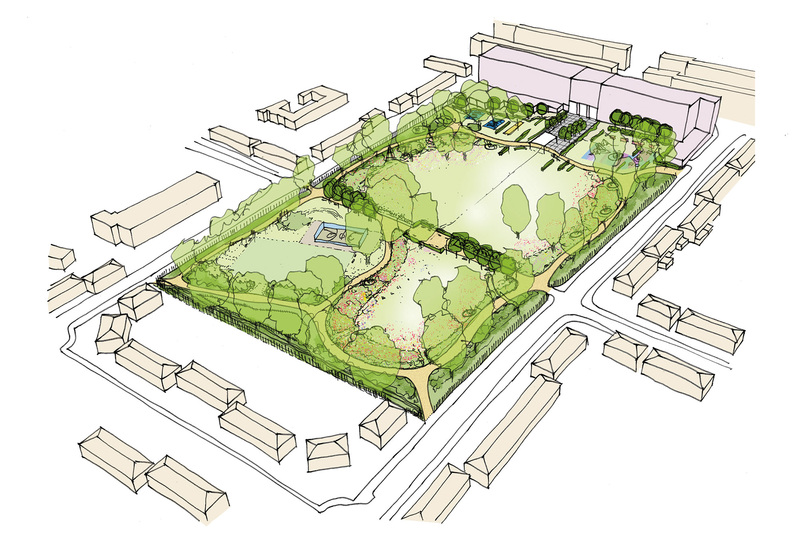 The starting point was to open up the park with better connections into the local context, making it safer, and in so doing, more appealing and inviting to the local community. The new built development provided a strong new edge to the east of the park and frames a prominent new entrance drawing pedestrians through from the busy neighbouring road. A new paved entrance space also provides a destination for a new weekend market with local traders. Inside the park, paths were reconfigured to create a circular running loop and provide improved entrance points at all four corners. Working closely with LB Hammersmith & Fulham’s conservation department, a small number of trees were identified to be replaced to open up views within the park and maximise the amount of open green space available. The goal was to make the park simple and ‘free flowing’, with space for families to explore and play in a safe environment. The existing sports facilities have been updated to provide a large ball court, multi-use games area and ping pong tables. 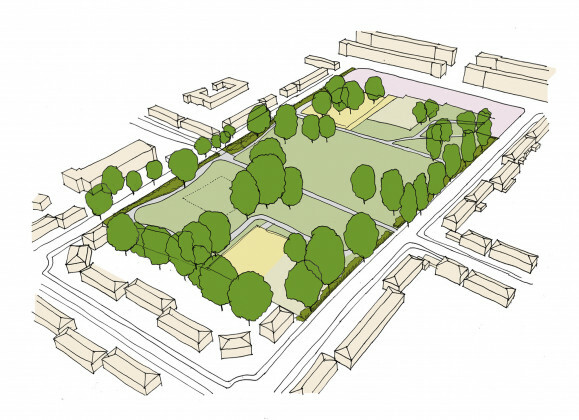 As a result of the extensive consultation with the local community, the proposals could address concerns that the park was used predominantly by teenagers, and new facilities were incorporated to ensure their appeal to a much wider demographic. This included a large young children’s play area where 50% of the amenities are inclusive for children with disabilities – including a state-of-the-art wheelchair swing, roundabout and trampoline – alongside other equipment which offers strong sensory experience. This careful selection of equipment, coupled with a carefully considered layout, has resulted in the park becoming the Borough’s flagship for disability sports and play. 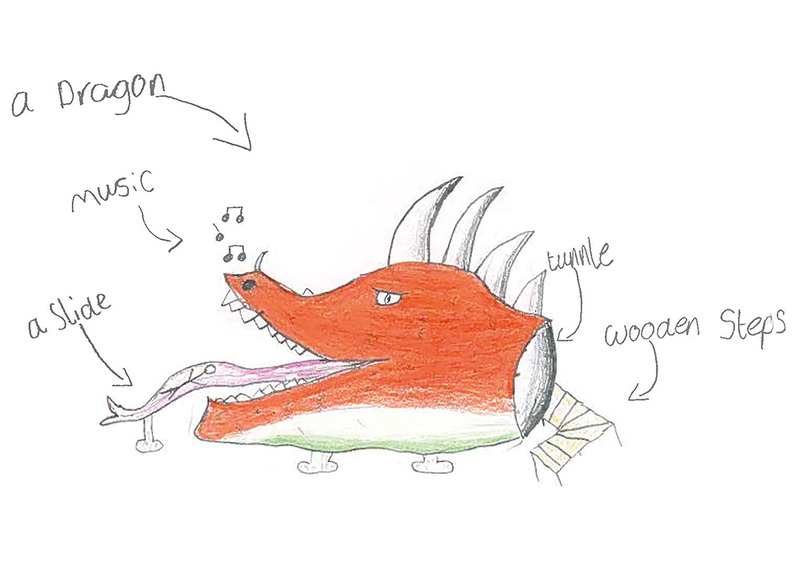 Local school pupils were invited to sketch out their ideas for play elements, one of which was chosen to be designed and built within the park. Young Aman Rahmani’s elaborately drawn dragon has been transformed into a fiery head of the accessible slide by local artist Joel Parkes, who carved a mature tree trunk into a bespoke sculpture over three months. 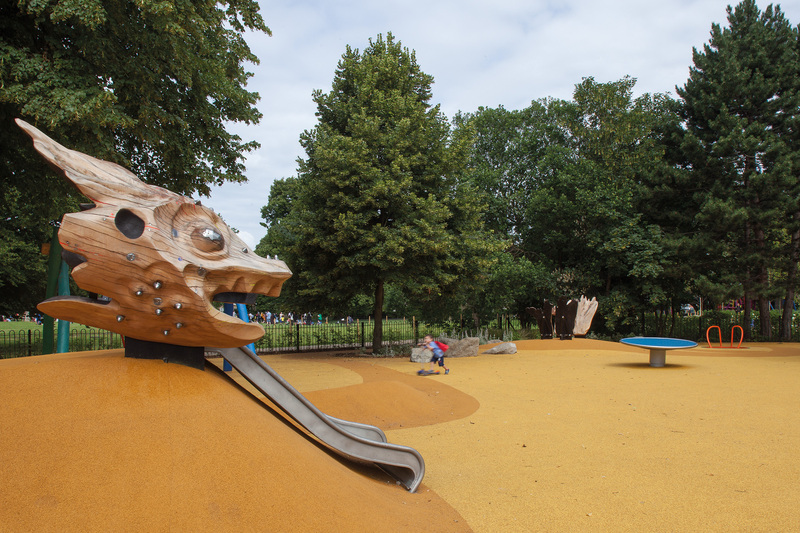 The head stands as an impressive landmark within the play space; details of inlaid coloured resin, pewter and encrusted steel studs make it both intricate and playful for children who seek stimulation across a range of scales and intensities. Working to exploit the opportunities of the existing park, the focus was on the creation of ‘playable landscapes’ including a bold climbing frame set among a beautiful stand of coniferous trees. Play amongst the trees and existing structure of the park heightens a sense of discovery and adventure for all children. Across the park, a palette of new tree, shrub and bulb planting has been introduced to create a vibrant and lush environment. 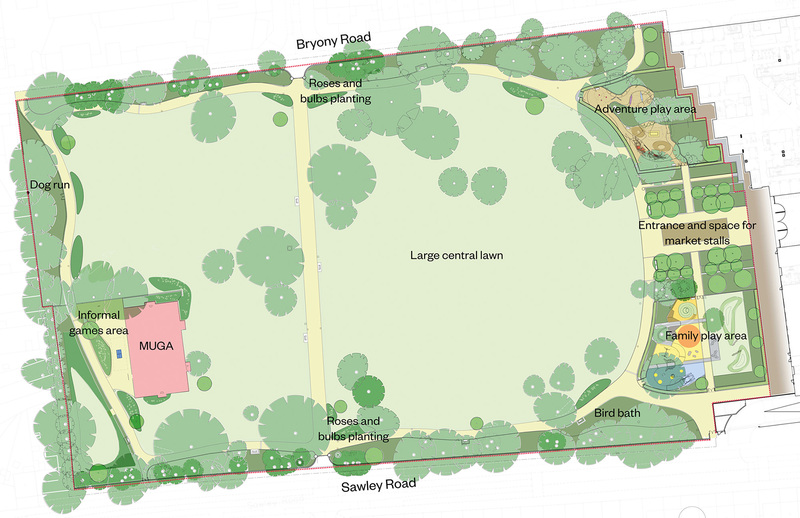 The new planting has greatly improved the biodiversity value of the park and wherever possible the existing vegetation structure of planting and habitat was retained as a framework from which to build upon. 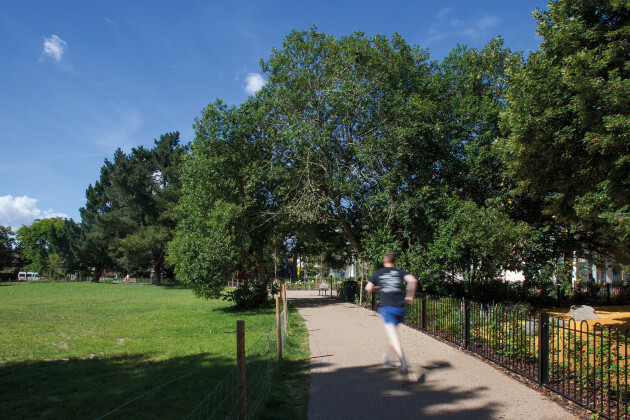 The seasonal quality of planting, extending the period of interest through flower, foliage and stem, was a key target developed with the Friends of Wormholt Park. The creation of planted areas that could be maintained by the local authority was also important with a strong balance between shrub and herbaceous planting. 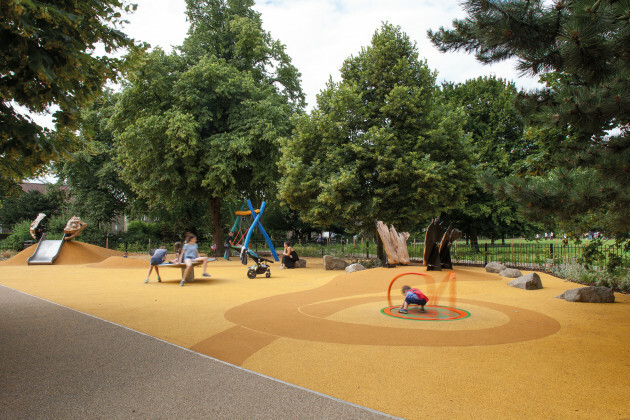 Families are now able to enjoy the open green space and children of all ages and abilities use the new play facilities – firmly putting Wormholt Park back on the map for the local community. 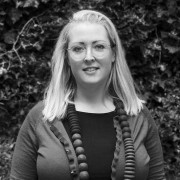 Kate Digney joined Levitt Bernstein in 2013, bringing with her ten years’ experience in placemaking. Having studied both landscape and ecology, she has expertise in design for biodiversity, urban tree planting and sustainable urban drainage systems, combining them to create distinctive communities. Leading our landscape studio, Kate fosters independent workstreams in public park design, residential landscape design and public realm guidance.